Ipoh will be the latest destination route for Singapore’s low-cost airline, Tigerair. The airline company will launch flights between Ipoh and Singapore starting from this year’s 29 May onwards with tickets going on sale from 20 April 2015. The flights will fly four times a week between these two cities and the service will be operated by an Airbus 320 aircraft, which can carry 1,440 passengers per week, Malay Mail reports. “We are excited to add Ipoh to our growing Asia network and be the first to operate jet flights in Ipoh. 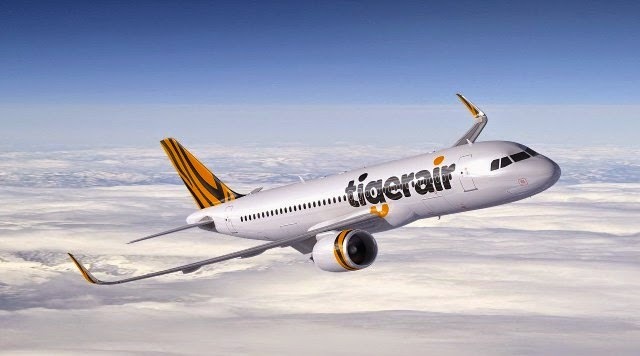 Tigerair already enjoys a significant presence in Malaysia and this addition will help meet demand for both leisure and business travel between Singapore and Malaysia,” said Tigerair Chief Executive Officer Lee Lik Hsin. Ipoh is the fourth Malaysian destination that Tigerair flies to, including Kuching, Langkawi and Kuala Lumpur. 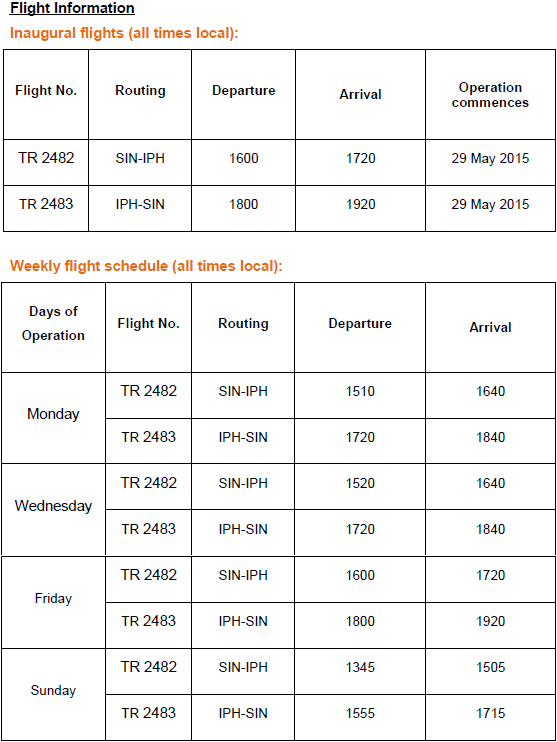 Other flights that fly in and out of Ipoh are: Malaysian Airlines, Malindo Air, Firefly and Sriwijaya Air.